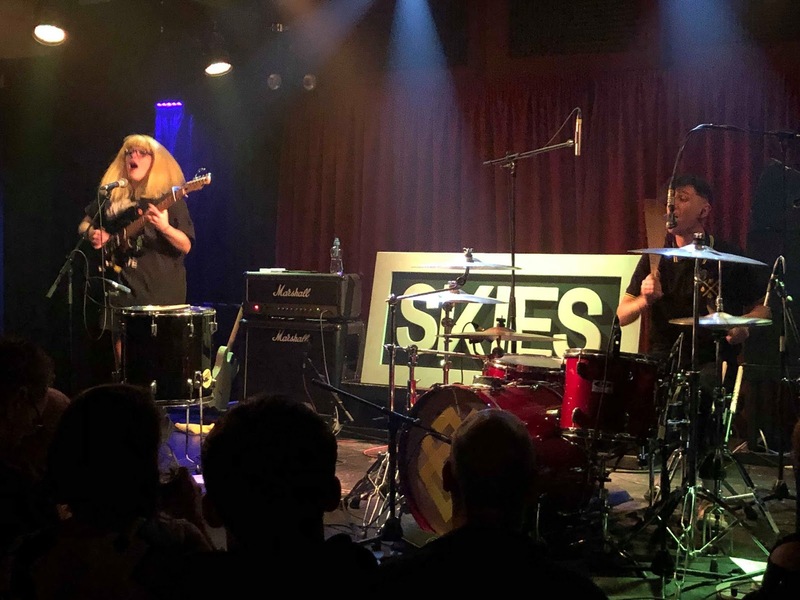 SKIES' short UK headline tour called into The Lending Room at Leeds on Saturday night with a very varied line up of bands on the bill before Alie and Jericho took to the stage and delivered a raucous upbeat thirteen song set. Support came from Loners and Kata Rayna. Kata Rayna suffer an inauspicious start as technical issues mean their big opening is somewhat dampened and they take nearly ten minutes to get things in working order. 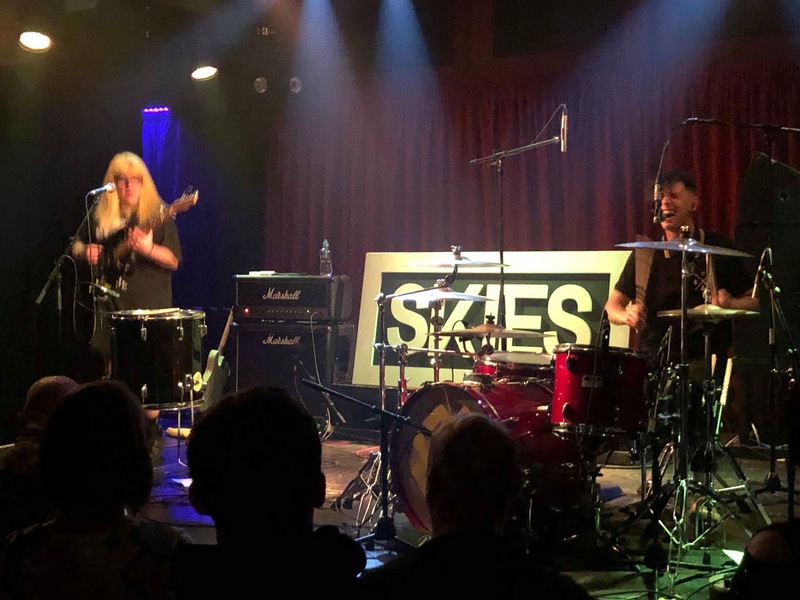 But to their credit they don't let it knock them out of their stride at all, even taking time between songs to usher us forward and joke about underestimating the size of our legs as we don't get close enough. Their songs are mostly based around the juxtaposition of male and female vocals, sometimes in harmony, sometimes in conflict, set to some big electronic beats and drums. Their set is visually augmented by a dancer throwing all sorts of weird and wonderful shapes during a couple of songs. Tracks like 20%, a vitriolic dig at a former partner, and Home are the stand-out tracks. We buy their EP at the end, the sign that an act has won us over. Loners are next and they trade in big anthemic songs delivered with genuine passion. Eliott's voice is powerful and masters both the quieter moments in the set as well as when everything kicks in and takes songs up and out there whilst his bandmates' control of the pace and impact of the songs is impeccable. Recent single He Looks Like Me is a standout track, but the good news is that they've got others that are its equal or superior in the rest of the set. 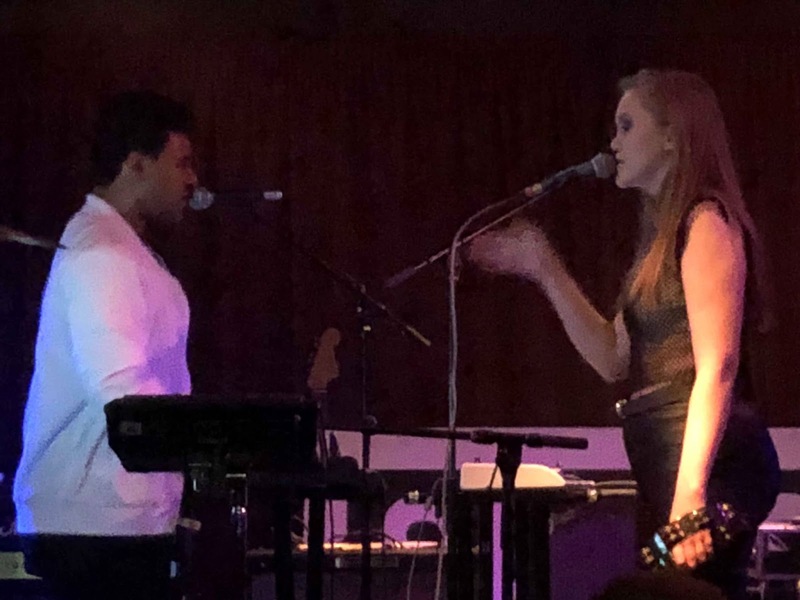 We'd have liked a little bit more audience interaction between songs, but that'll come with time as they get used to the very positive response they get from both their own sizeable crowd and those there for SKIES. For a two-piece SKIES have got so much going on, a really energetic set from Alie and Jericho with neither of them standing or sitting still throughout as they rampage through a set of tracks mostly from their three EPs to date as well as their cover of Enter Shakiri's Live Outside. 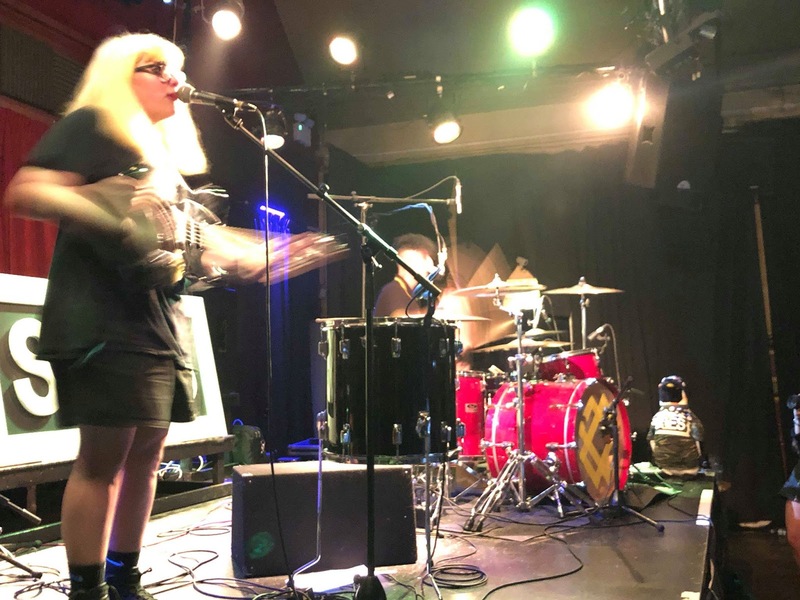 That energy transmits quickly from the stage to the audience as they deliver songs bursting at the seams with stomping beats, huge riffs and big accessible choruses. The likes of Afterwards, Pills, Feel Like It, Green and the final send-off of Drone and Can't You Save Me are just half of an impressive length set that shows SKIES have the ability to make the most of the fact that they're just a duo without repeating the same tricks but still remaining true to their ethos. 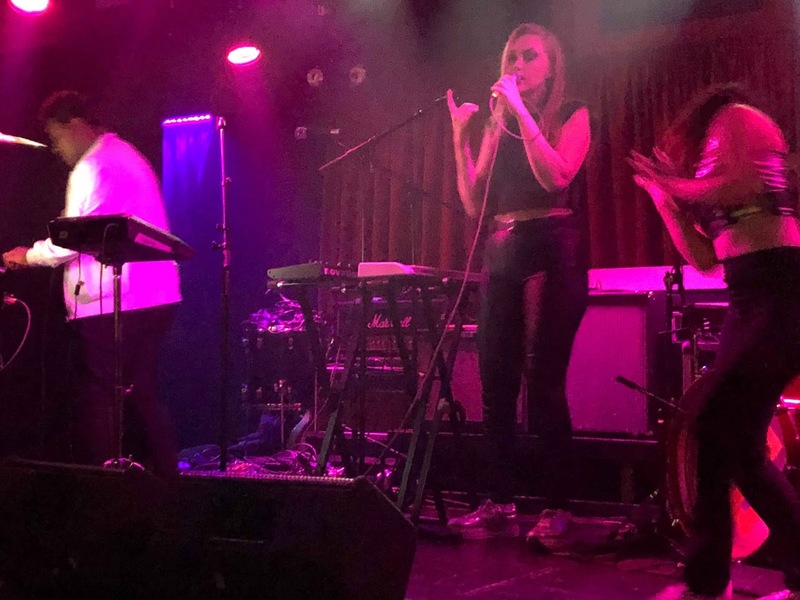 It's their energy and their absolute joy of performing that has won them plenty of fans from their dates with The Slow Readers Club over the past eighteen months. It's practically impossible not to be drawn in and hooked by them, whether it be Alie bounding around, standing on everything she can find to tower above us or Jericho's whirlwind arms that are a blur for most of the set whilst still managing to sing backing vocals and picking up replacement drumsticks for those he loses. It means that they're never in danger of losing their audience, which often happens with unsigned bands playing a set of this length and is testament not just to them, but that the quality control on their songs is impeccable. 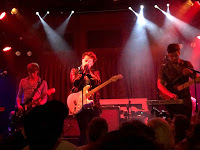 As people bounce along to the songs, join in when asked and buzz off what's coming from the stage, SKIES once again make their mark as a band that might not win the fashion game that accompanies so much of the business these days, but they deliver with what really matters. 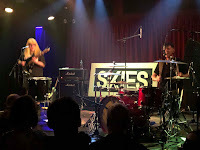 SKIES' official website can be found here and they are on Facebook and Twitter. The X EP is out on now. Our review can be found here. 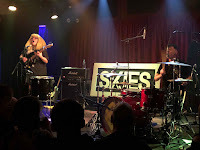 Our recent interview with SKIES can be found here. 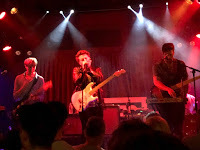 They play the following date - Nottingham Rough Trade (25). Tickets available here. Loners are on Facebook and Twitter. Kata Rayna are on Facebook and Twitter.